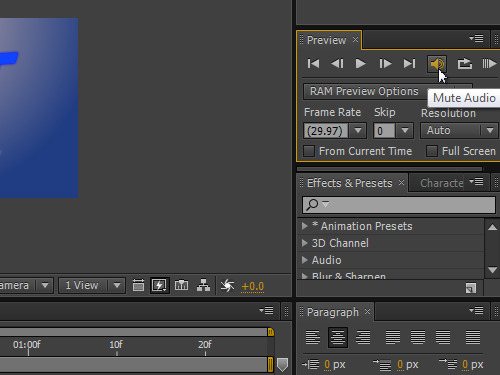 How to preview Adobe After Effects in real time. 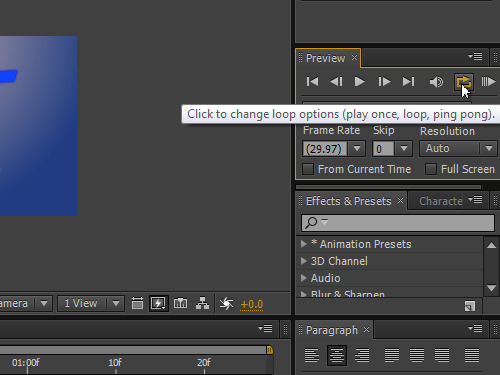 In this video tutorial we will show you how to preview After Effects composition in real time. Open a composition. 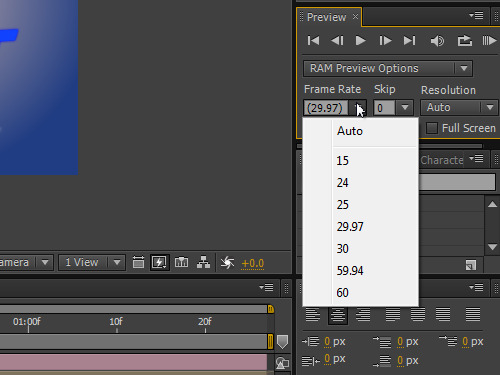 In the “Preview” tab, you can set the frame rate by selecting the needed value from the “Frame Rate” drop down menu and set the resolution of the video. 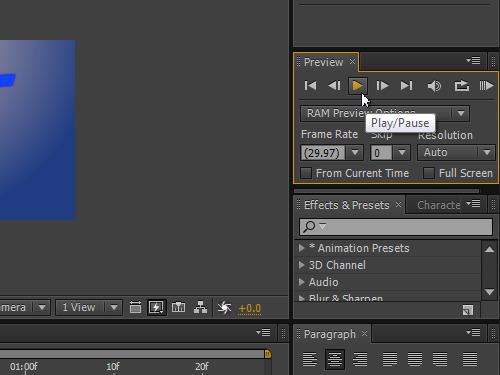 Also, you can select a continuous video playback mode by clicking on the appropriate button in the playback panel. 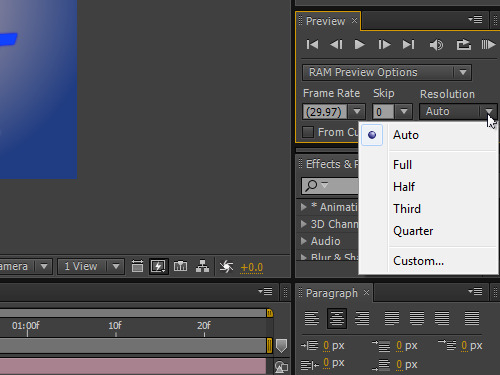 If you want to preview the video without an audio track, press the “Mute Audio” button. The “Last Frame” button allows you to switch the playback to the last frame. 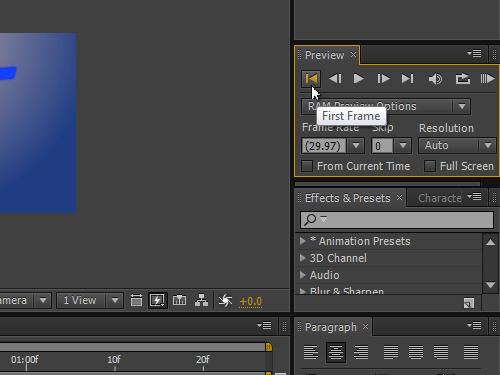 The “Next Frame” button allows you to switch the playback to the next frame. You can start or stop the playback with the “Play/Pause” button. The “Previous Frame” button allows you to switch the playback to the previous frame. The “First Frame” button allows you to switch the playback to the first frame of the video track. 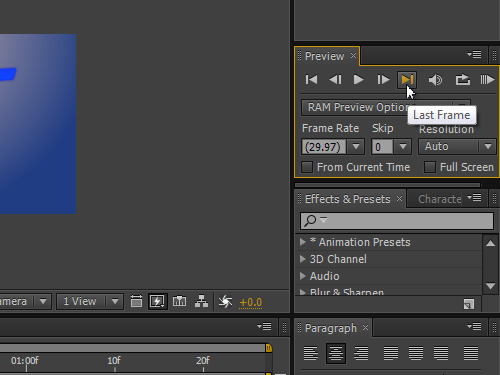 The “RAM preview” button allows you to start the preview process of the composition in real time. The rendering process of the composition appears as a green progress bar on the timeline. After the rendering process is complete, you can preview the composition in real time.